Josh, I don’t know if you’ve noticed, but the I-40 corridor has had some of the same weather this week as what we drove through at the same time last year. First there was quite a bit of snow in northern Arizona a few days ago — all north of I-40, between Flagstaff and the Canyon, on that Navajo land we drove through. Then yesterday and today there is a similar ice and snow storm moving thru the Central US, along the same general lines as last year. Lesson learned — I-40 is not the “Southern route” cross-country in January; and if there is a next time of driving cross-country in the winter, the route has to be I-10 through New Orleans, Houston, El Paso, and Phoenix. Josh, Lubbock is the home of Texas Tech University, not Texas A&M. Some around here would consider the slip fighting words. 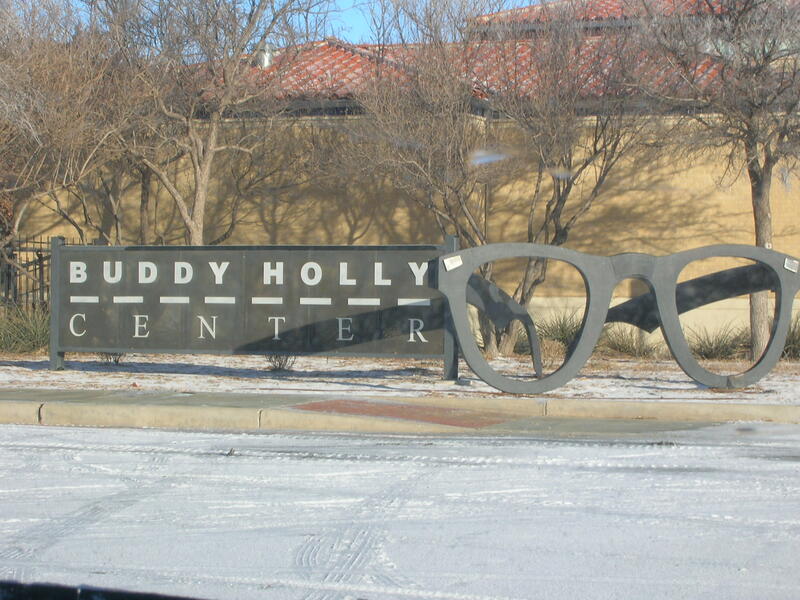 Please check your facts next time, and be sure to visit the Buddy Holly Center the next time you’re in town. Thanks for pointing that out – I fixed it. I should know better, people mix up my college with our rival all the time. Next time I’ll be sure to always have Wikipedia open.